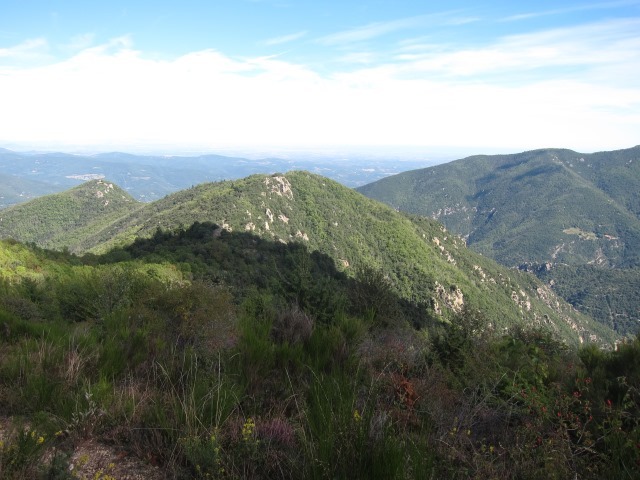 The Pilo de Belmaig ridge in the south-eastern Pyrenees is a particular joy, with grand views toward the sea and 2,785m Canigou massif inland. 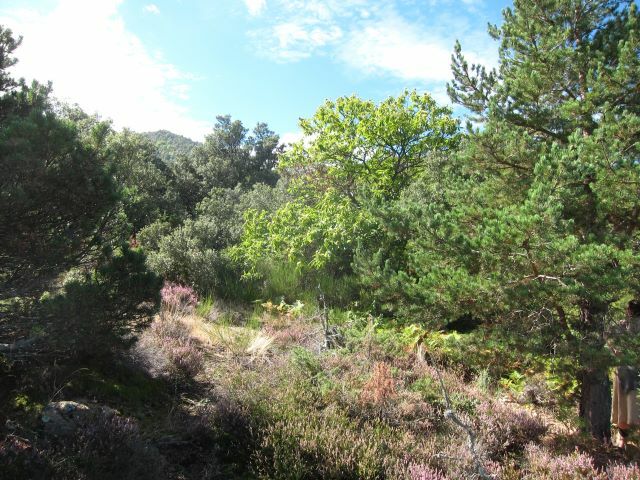 Climb through beautiful and varied forests to the ridge, then up the ever lovelier high ridge, with superb views all round and stunning mixed vegetation, to the Pilo de Belmaig. 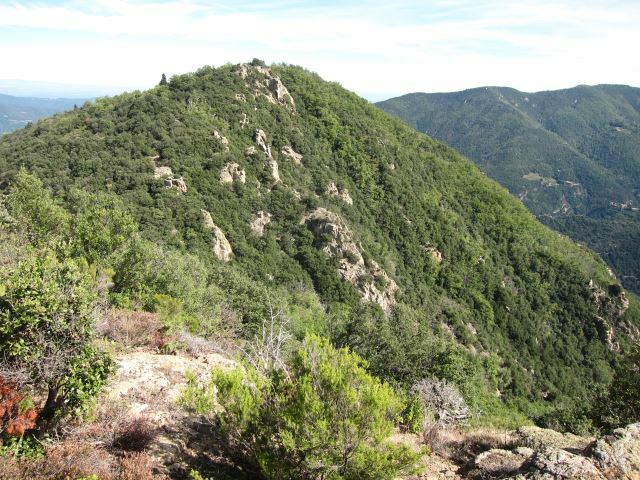 Then it is on along the high ridge to another peak, then drop back down on excellent forest tracks. 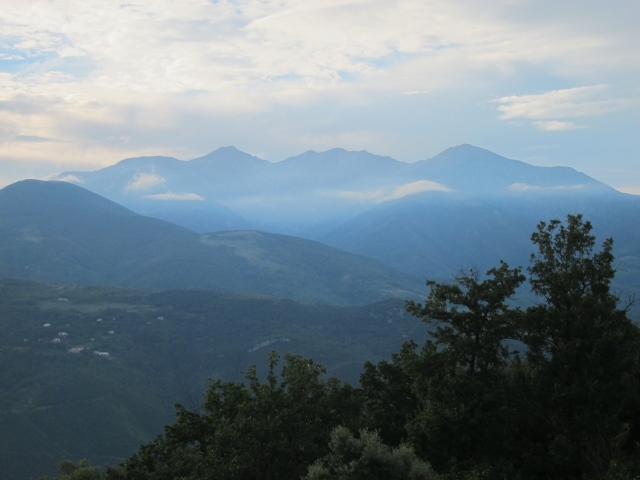 The Alberes ridge, the south-eastern border between France and Spain, rises high above the last valley in France, the Tech or Vallespir. 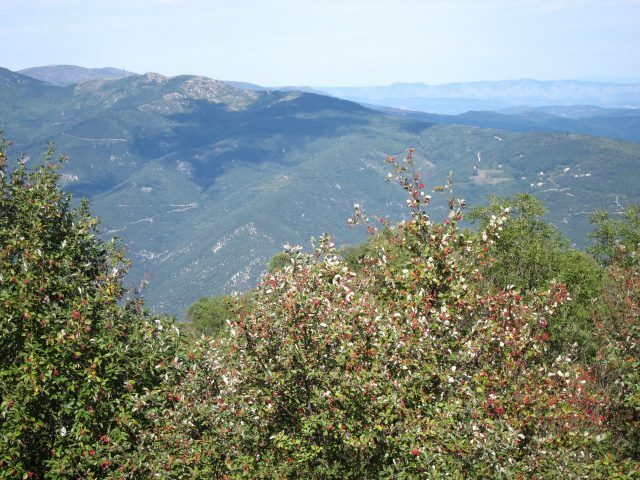 It is generally thickly wooded with lovely mixed deciduous trees, but affords great views toward the sea and 2,785m Canigou inland. 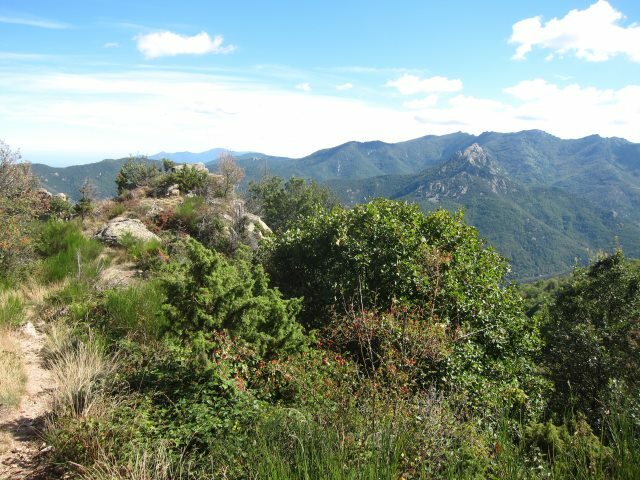 A particular joy is the Pilo de Belmaig ridge, south-east of Arles-sur-Tech and west of the Roc de France. 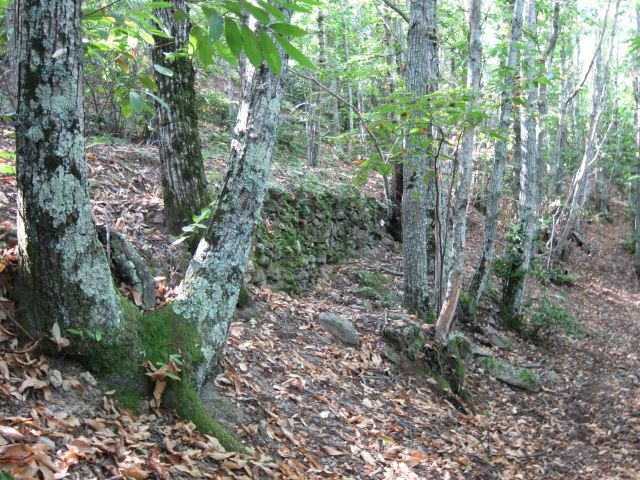 This is accessible up the GR10 from Arles or Montabla to the east, but is a long, steep, forested ascent. 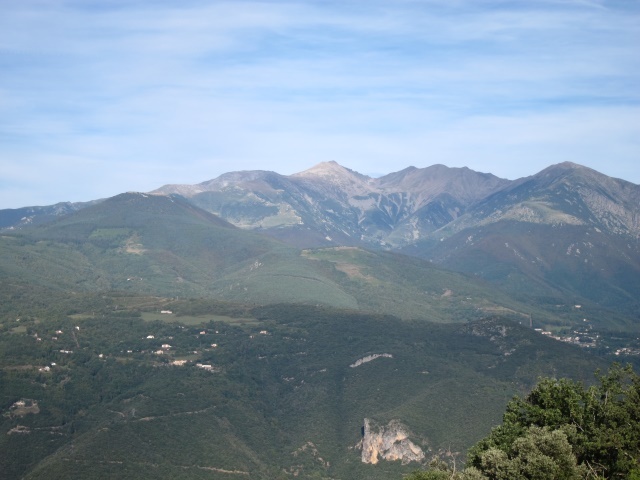 We walked it from the Can Rigall eco-hotel, from which it is a "mere" 500m or so of ascent. 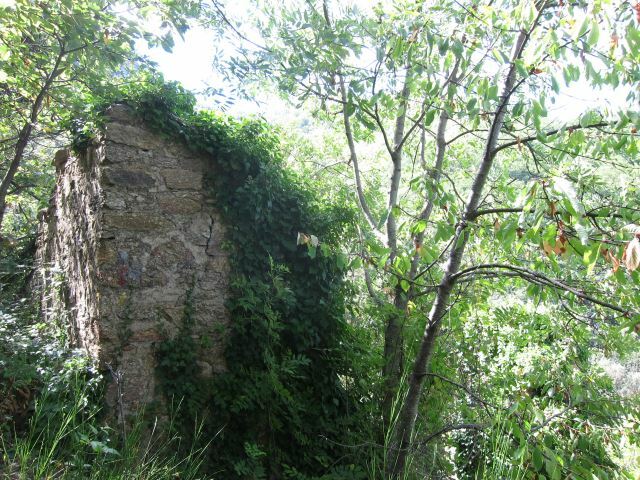 Its grand circuit (our term not theirs) climbs through beautiful and varied forests (holm oak, chestnut, mountain ash above broom, juniper and, surprisingly, heather), passing long-overgrown ruined houses and collapsing terraces, relics of the tough lives of the inhabitants of former times, to meet the GR10 on a col in the ridge. 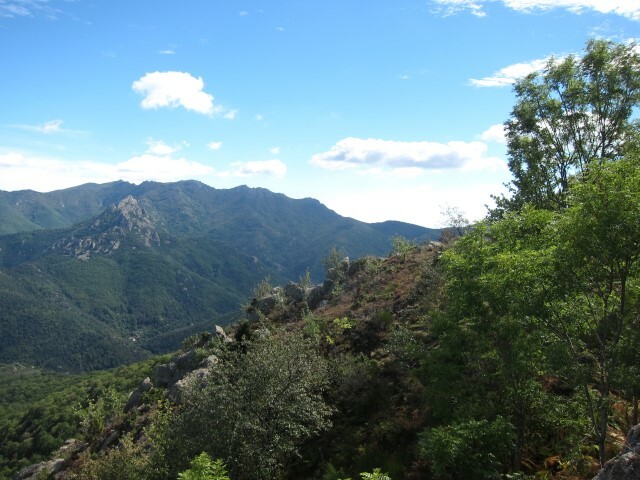 Thence it is a 45min climb up the ever lovelier high ridge, with superb views all round and stunning mixed vegetation, now including the odd Mediterranean pine, to the Pilo de Belmaig, a rocky summit with uninterrupted all-round views. Eat a picnic here. 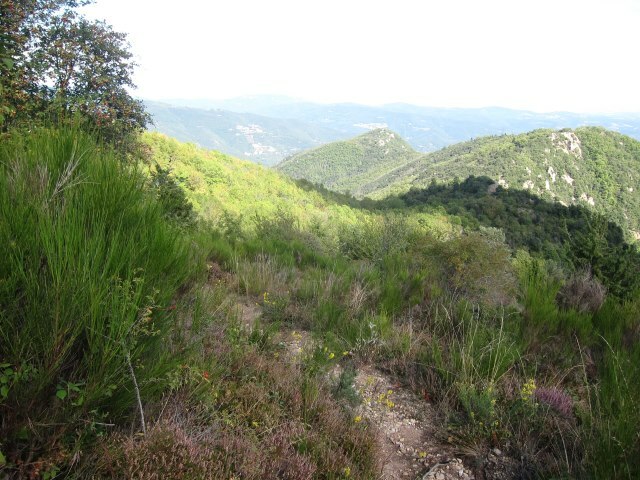 Then it is on along the narrow and really rather thrilling high ridge to another peak, which is wooded so affords less in the way of views. You then drop back down on excellent forest tracks to Can Rigall. Around 4 1/2 hrs. We don't normally bang on about hotels, but we cannot recommend the Can Rigall eco-hotel (www.canrigall.fr ; or via www.basecampexplorer.co.uk) highly enough: a beautifully converted and hugely atmospheric old farmstead perched high up a 6km track to the south of Arles-sur-Tech, with gorgeous views straight across to the Canigou massif. 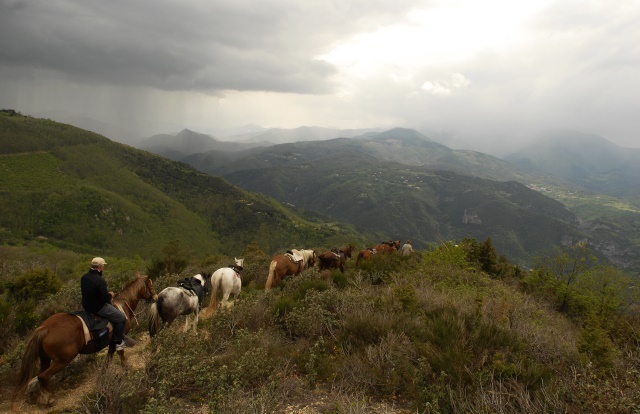 It has fine walks from its front door, including the Pilo ridge, and is a good base for wider exploration. Superb food and charming management. 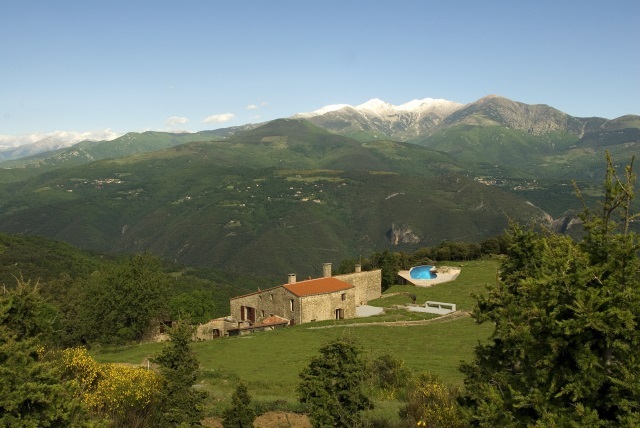 See our Eastern Pyrenees and Pyrenees pages for further general information.